Eye health is an important concern for most of us, particularly if our work requires prolonged attention to fine detail and exposure to computer monitor glare. 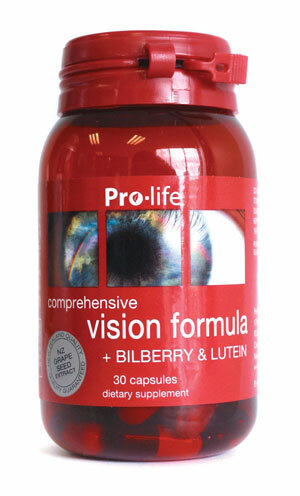 Bilberry is widely recognised for supporting healthy eye function. As well as helping to maintain healthy eyes, bilberry is rich in antioxidants that help to decrease the risk of cell damage attributed to free radicals. 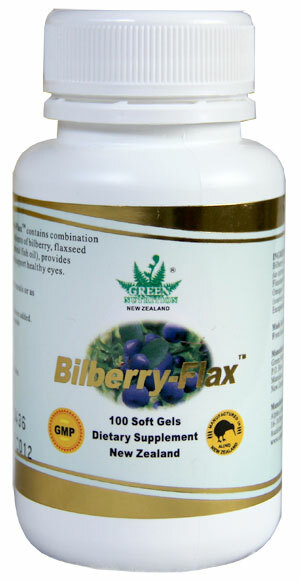 Each capsule contains: NZ Grape 15,000mg (Equivalent to Grape Seed 1800mg), Bilberry 2,000mg, Ginkgo Biloba 2000mg, Marigold Flower 2000mg (Providing Lutein 8mg), Eyebright 200mg, Beta-Carotene (Pro-Vitamin A) 3mg, Ascorbic Acid (Vitamin C) 50mg, D-a-Tocopherol Succinate (Vitamin E) 5iu, Selenium (Chelate) 20mcg, Rutin 10mg, Quercetin 10mg, Lycopene 5mg, Bioflavonoids 10mg, L-Glutamine 25mg, Taurine 50mg. This product contains encapsulating aids. Some herbal extracts used.